Remarks: This requires a long term contract. Calculations time table should be started from our garage parking lot, and time to return. In case additional fees will be charged, we will ask you to pay for it based on our additional fees price table. Remarks: In the case of Wagon type for 7 passengers or 10 passengers, US $50 will be added. Excluding entrance fee and meals. For pick-up and drop-off at areas outside Tokyo, a deadhead fee will be charged. In case you would like to designate a driver with a proficiency in English, JPY 1,000 per hour will be charged. Driving “En route to customer “. ※We will not ask surge price for midnight. We will not ask surge price for midnight. Our proposed prices above will be applied only in area within Tokyo based on the regulation of Japanese law. 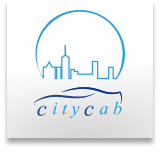 We, Citycab, are pleased to comply with your requests and needs. Please feel free to ask and contact us when you are going to have a sightseeing, playing golf, and/or picking-up / dropping-off at Tokyo airport.